Erin Dolin is a Pediatric Occupational Therapist with over fifteen years of experience working in clinic and school-based practice settings. 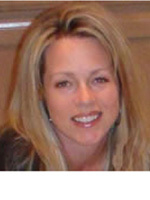 She completed her Bachelor’s degree in Exercise physiology at California State University, Fresno, earned her Master’s Degree in Occupational Therapy from Samuel Merritt University in Oakland, CA, and completed her Doctorate in Educational Leadership with a research emphasis focused on the link between handwriting instruction and student achievement. In addition to her school-based OT practice, Erin has served as an adjunct faculty member with the Department of Physical Therapy at CSU Fresno since 2005. She has taught several foundational courses including Medical terminology, Neuromotor Development Across the Lifespan, Rehabilitation Professions, and Patient Practitioner Interaction in addition to her advising role for students pursuing Pre-Occupational Therapy option coursework. Erin has completed professional development coursework and holds certifications in Therapeutic Listening, The Perceptual Enrichment Program (PEP), Sensory Integration and Praxis Test (SIPT - administration scoring and treatment), and HWT Level 1 Certification. Erin began her role with HWT as a National Workshop Presenter in 2008 and has been using HWT with children since she was a graduate student in 1998. She is passionate about her role as a school based OT and supporting student success. In her spare time, she enjoys cycling, stand-up paddle boarding, triathlon competitions, attempting DIY home improvement projects and relaxing with her dogs.